The artist's brush glides through pearlescent enamel to create a swirl pattern on brass. Dimensions are approximate. 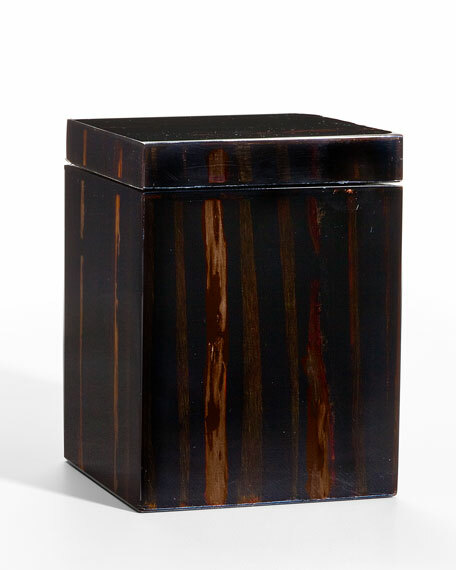 Wastebasket, 8"Dia. x 10"T. Made in Italy. 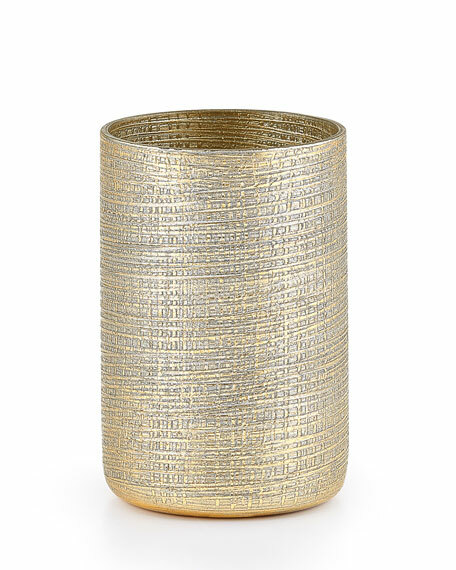 Gold and silver mingle together in this beautifully textured glass collection. The design is combed and fired on mouth-blown glass. 2.5"Dia. x 3.75"T. Spot clean. Made in Italy. L'Objet Rose Noire Hand + Body Soap, 17oz. L'Objet Rose Noire hand and body liquid soap. Top: Pimento berry, white pepper. Heart: Rose, tea. Base: Moss. Size: 17 fl. oz. / 500 ml. Glass dispenser bottle. Made in Portugal. Exclusively ours. Handcrafted pump dispenser. 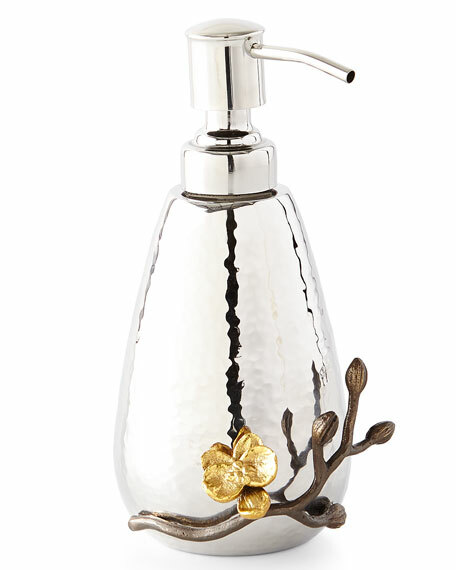 Stainless steel with oxidized metal and brass-plate orchid detail. 6.75"T; holds 11 ounces. Imported.